Get your tickets for this event here! Or become a Sponsor for the event. Sponsorships start at $1000 and includes 2 tickets to the event. 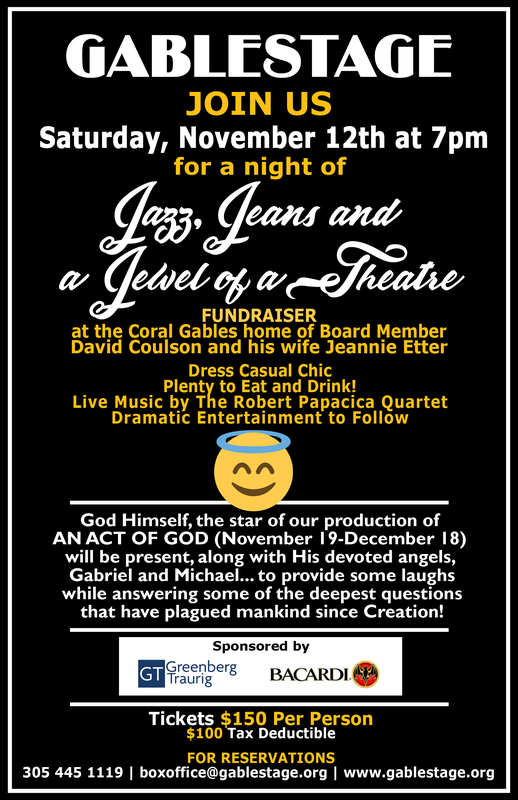 Contact 305-446-1116 or email jkaschube@gablestage.org for more info. All the Critics Rave! Georgia McBride is a hit!